Geoffrey Richardson (Caravan, Penguin Cafe Orchestra, Murray Head, Paul Brady.) 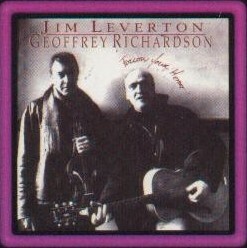 and Jim Leverton (Humble Pie, Fat Mattress, Juicy Lucy, Savoy Brown, Rory Gallagher) have made this an album from the heart. A superb performance of quality, skill and understanding from two multi-talented musicians, including some of their favourite songs and the first recordings of a few of the last songs written by Jim and Steve Marriott. Supporting cast includes Ian Maidman and Annie Whitehead.